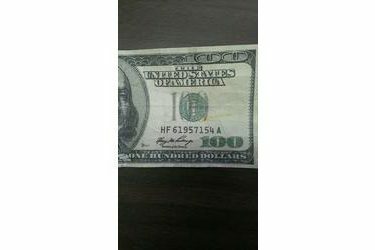 On 11/12/15, the Liberal Police Department responded to two calls involving counterfeit currency being passed at local businesses. At this time the department has seized 2 of these counterfeit bills. The bills being passed have been in the $100.00 denomination. All of the bills seized have had the same serial number of HF61957154A. For information on how to spot counterfeit money, visit www.newmoney.gov. Any person that might have information regarding this crime is encouraged to call the Liberal Police Department at 620-626-0150 or the Crime Hotline at 620-624-4000. Persons providing information leading to the arrested of those responsible for this crime are eligible for a reward.